Pre-Cut Felt Pieces - Easy to Assemble! 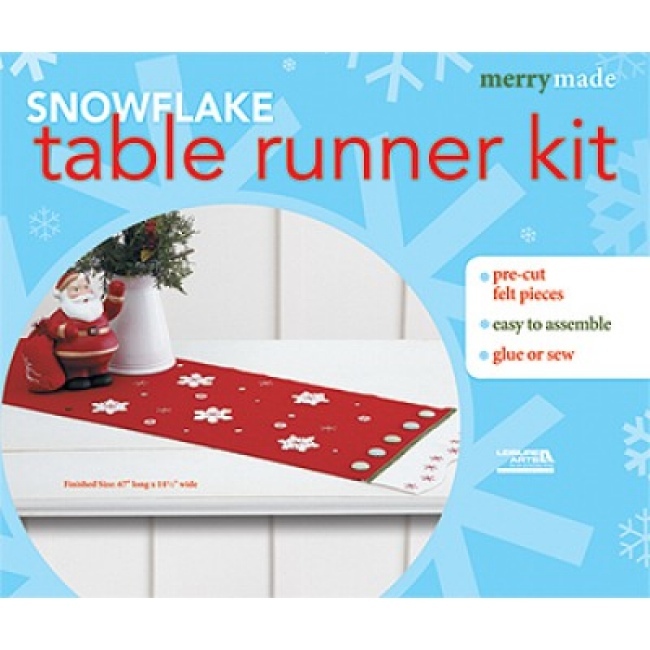 The Snowflake Table Runner Kit is a MerryMade Felt Christmas Craft Kit from Leisure Arts. Quick & easy to assemble! Kit includes pre-cut felt pieces, fabric covered buttons, ribbon, sequins, embroidery needle, embroidery floss, and instructions. Finished size is 67" x 14-1/2". This is a fun felt Christmas craft kit for beginners and experienced crafters! • Finished Size: 67" x 14-1/2"